The Communities feature includes everything you would expect from a separate group: you can submit public posts that everyone can see, or just private posts that only members can access. 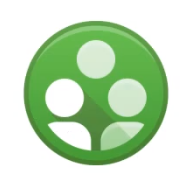 You can initiate Hangouts just for your group and schedule Events that only they can access. Most importantly of all, though, it creates a permanent home for the whole group. Pages just haven't quite been able to cut it in the past. This is a wonderful, welcome addition. Google is calling this a "preview" right now, so it's unclear if everyone will have the full functionality from the start, or if it will rollout to select organizations and users first as with things like Hangouts on Air. It's also only available on the web. Mobile is "coming soon."